Presence of Listeria spp and L. monocytogenes in traditional pottery cheeses produced at eight different provinces in Turkey was investigated. A total of 279 samples were surveyed. Apart from L. monocytogenes, L. ivanovii and L. gravyi, L. innocua were determined from the cheese samples, while L. welshimeri and L. seeligeri were not detected in any of the samples. 21.5% of the samples were contaminated with Listeria spp.. However %15.77 of samples was positive for L. monocytogenes. The incidence of L. grayi, L. innocua and L. ivanovii isolated from samples were 2.15%, 1.43% and 2.15%, respectively. A total of 60 Listeria spp. positive samples were analyzed and it was determined that. L. monocytogenes was the most prevalent species with 44 (73.3 %) isolates recovered, while 16 (26.6 %) belonged to other Listeria spp. Türkiye'nin sekiz değişik illerinde toplanan geleneksel Küp peynirinde Listeria spp ve L. monocytogenes varlığı ve isnsidansı araştırılmıştır. Toplanan 279 peynir örneğinin Listeria spp % 21.5, L. monocytogenes %15.77’de, L. grayi %2.15, L. innocua %1.43 ve L. ivanovii % 2.15 oranında kontamine olduğu belirlenmiş, L. welshimeri ve L. seeligeri ise tespit edilmemiştir. Listeria spp. pozitif toplam 60 örnekte en yaygın tür olarak 44 (% 73.3)’ünde L. monocytogenes ve 16 (% 26.6)’sında ise diğer Listeria spp. belirlenmiştir. Colak, H., H. Hampikyan, E.B. Bingol, B. Ulusoy, 2007. Prevalence of L. monocytogenes and Salmonella spp. in Tulum cheese. Food Control 18: 576-579. Filiousis, G., A. Johansson, J. Frey, V. Perreten, 2009. Prevalence, genetic diversity and antimicrobial susceptibility of Listeria monocytogenes isolated from open-air food markets in Greece. Food Control 20: 314-317. Gülmez, M., A. Güven, 2001. Kars ilinde satışa sunulan Çeçil (civil) peynirlerin bazı mikrobiyolojik ve kimyasal özellikleri. Kafkas Üniversitesi, Veteriner Fakültesi Dergisi, 63-70. Güner, A., N. Telli, 2011. A Survey on the Presence of Listeria monocytogenes in Various Semi-Hard Cheeses from Different Regions of Turkey. Journal of Animal and Veterinary Advances 10: 1890-1894. Hitchins, A.D., K. Jinneman, 2011. Detection and enumeration of Listeria monocytogenes, chap. 10, Bacteriological analytical manual (BAM). U.S. Food and Drug Administration. AOAC International, Gaithersburg, MD. Makino, S.I., K. Kawamoto, K. Takeshi, Y. Okada, M. Yamasaki, S. Yamamoto, S. Igimi, 2005. An outbreak of food-borne listeriosis due to cheese in Japan, during 2001. International Journal of Food Microbiology 104: 189-196. O'Brien, M., K. Hunt, S. McSweeney, K. Jordan, 2009. Occurrence of foodborne pathogens in Irish farmhouse cheese. Food Microbiology 26: 910-914. 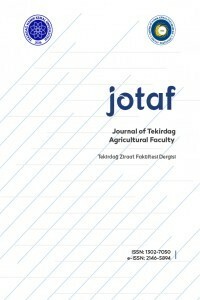 Turkish Food Codex, 2011. Mikrobiyolojik Kriterler Tebliği, Türk Gıda Kodeksi Yönetmeliği, 29.12. 2011 tarihli 28157 sayılı Resmi Gazete, Ankara. Wang, J., X. Xie, J. Feng, J.C. Chen, J.C., X.-j. Du, J. Luo, X. Lu, S. Wang, 2015. Rapid detection of Listeria monocytogenes in milk using confocal micro-Raman spectroscopy and chemometric analysis. International Journal of Food Microbiology 204: 66-74. ISNAD Kaptan, Binnur . "Prevalence of Listeria spp and L. monocytogenes in Home made Pottery Cheese". Tekirdağ Ziraat Fakültesi Dergisi 13 / 1 (January 2016): 76-87.